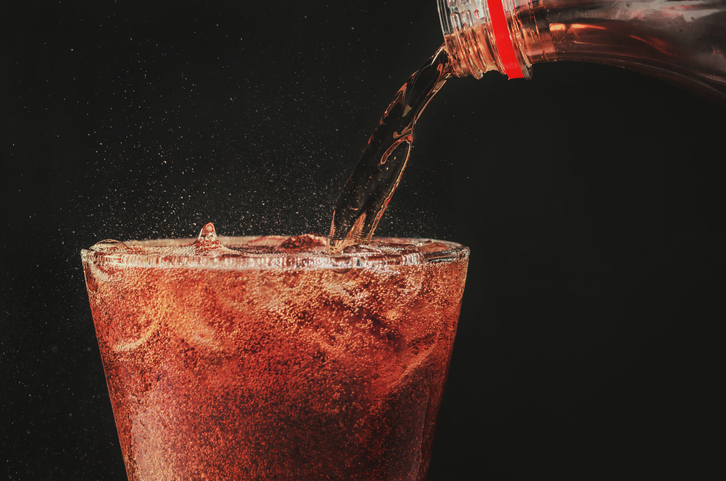 As well as being short for popular, both as an adjective and noun, when we are talking about culture and especially about music, pop is also a carbonated drink (also called a soda in some parts of the US, and a fizzy drink in UK English). Pop can also be a short explosive sound and, if you come or go suddenly or when not expected, you can say you are popping somewhere. Mostly in the UK, you also pop something when you put or thrust it somewhere quickly. When someone’s eyes pop, it means they grow round or very wide open. The teenagers were listening to pop. The academic wrote a pop science book. There was wine for the adults and pop for the kids. There was a pop as Tania drew the cork out of the bottle. We're out of milk; I'll pop to the shops. Julian popped his head out of the window to see what all the noise was about. The little boy's eyes popped when he saw the display in the window of the chocolate shop. Pop is also an informal word for father in US English, though it’s a bit dated. Be careful though. In Australian English, your pop is your grandfather rather than your father. Also in the US, pop is also short for a popsicle, which would be called an ice lolly in the UK. Pop, meaning ‘a blow with an explosive sound,’ dates back to the late 14th century, in the form of the late Middle English noun poppe. Its origin is imitative of the sound of the blow, so the sense narrowed over time to mean mostly the sound, rather than the blow itself. Pop, meaning ‘a flavored carbonated drink,’ dates back to the early 19th century in the US, and is a reference to the sound made when the cork was removed from the bottle (back then even soda bottles had corks). The verb pop, meaning ‘to cause to make a short explosive sound,’ dates back to the early 15th century, as the late Middle English verb poppen. The intransitive sense, ‘to make a short explosive sound,’ is from the mid-16th century. The sense ‘to appear suddenly’ and ‘to put suddenly’ have both been common since the late 15th century, while pop has been used to figuratively for protruding eyes since the mid-17th century. The expression pop the question dates back to the early 18th century, but could mean any important question. The sense narrowed to just ‘propose marriage’ in the mid-19th century. Pop, as an adjective meaning ‘with popular appeal,’ is an abbreviation of popular, and has been used since the 1920s. Popular, meaning ‘public,’ dates back to the early 15th century, and came into English from the Middle French populier and the Latin popularis (‘general or common,’ ‘belonging to the people,’ democratic’ or ‘devoted to or beloved by the people’), from populus (people). It is related to many words meaning popular, and people in Romance languages, such as the Spanish pueblo (‘town’ or ‘the people’), the Italian popolare and the Portuguese popular (popular), as well as the English word people.